Although most of the Western World is caught in the grip of winter, those “in the know” are already thinking about their lawns ready for BBQ’s in the summer! Lawn treatments actually start at about this time of year, with pre-emergent herbicides being applied. Most lawn care companies also offer pruning services for trees and shrubs, and now is the time to take care of those tasks, before the spring thaw starts sap flow. And, now is the time to get ready to take care of patchy grass. Ok, it IS a little bit early to talk about reseeding your lawn, but it is not too early to plan! Lawn treatment companies like Lawnmaster will put you on their schedule for this spring to take care of bald spots and patchy grass. Their experts can make recommendations for different kinds of lawn seeds to suit your particular needs. There are often bald spots in the lawn because there simply is not enough sunlight to help grass to grow. Most lawn grasses require a full 8 hours a day of direct sunlight. Anything less than that and the grass will fail, eventually giving way to bare earth. Some great lawn seeds, such as fescue and Kentucky bluegrass, can grow very well in heavy shade. 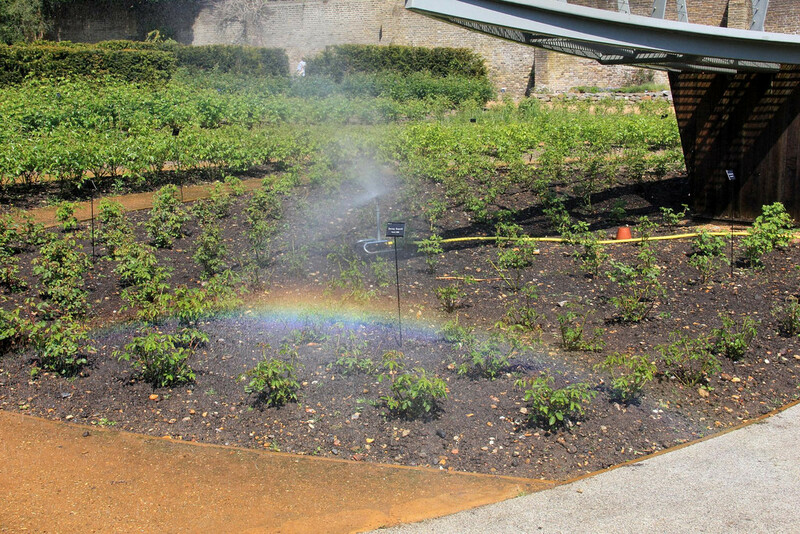 Most gardens have at least one spot where the sprinklers just will not reach. You have to water that area by hand, and sometimes do not bother. Other sites, like ours, have irregular soil quality. We found out the hard way that the pretty lake at our park came with a cost. It seems that the clay that was dredged up to make the lake was deposited on our property. Therefore, we have areas where virtually nothing will grow, and areas that are fertile and beautiful. Drought tolerant grasses have been our solution. There are several species that will thrive on top of the clay areas, and with proper landscaping skills, no one can tell that those are actually “dead zones”. Once again, trees may be the problem when it comes to watering your grass. 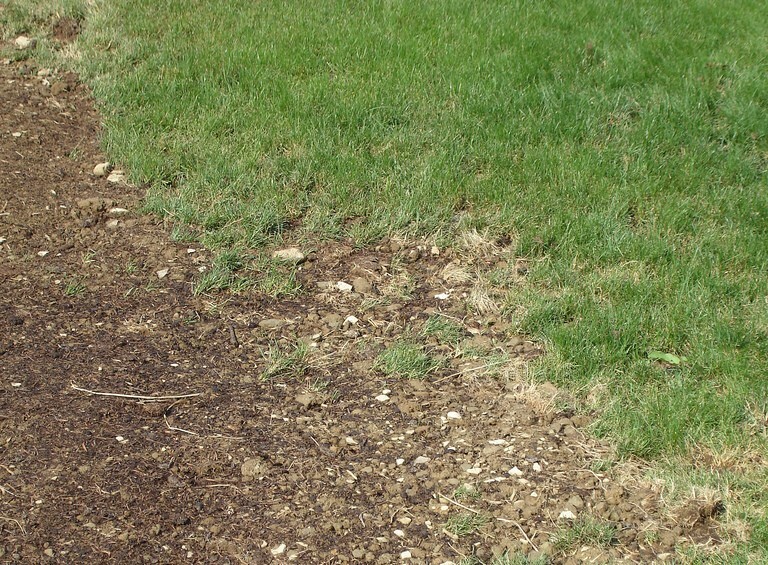 The surface roots of trees and shrubs may be sapping all of the water out of the soil, leaving grass seeds to starve. Once again, check with your lawn service to see what kind of grasses can survive without much sun or water. Well, you have accounted too much shade, too much clay, and too little water, but you still have bare spots in your lawn. Have you ever wondered what causes a brown circle in your lawn? Aside from pet poo, the most common source of these dead spots are grub worms. 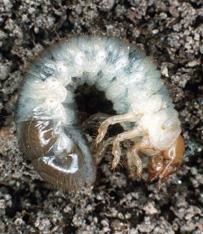 June bugs lay their eggs in the soil. About 8 weeks later, these eggs hatch into grubs, which then start eating their way out from their “nest”. Milk Spore or other pesticides will kill the grub worms, but you still may need to reseed those spots to help the lawn recover.